Social media is by and large an important factor for today’s adults. Browsing social media websites is increasingly becoming a daily activity, especially among the millennial generation who are entering the workforce in various entry-level positions across the board, daily. 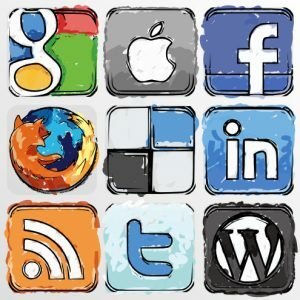 Do social media sites offer more than an avenue to connect, socialize, and stay up to date with the newest trends? Find out how social media can help you find your next criminal justice job. The growing popularity of social media among Internet users speaks for itself. Therefore, it is no wonder that more and more professionals are turning to social media for an answer to their job-search rut. 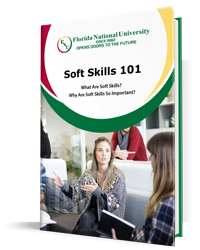 Florida National University (FNU) offers several tips to using social media during one’s job search. One of the easiest ways to gauge local job openings is to ask friends and family via Facebook. It’s never safe to assume that one’s friends and families have no connections or leads related to a position in one’s field. Finding out is as simple as asking. An individual must always make sure that a potential employer can find one’s profile. A private social media page might be a red flag for employers—especially those in the criminal justice field. Integrity and character are crucial for criminal justice professionals, so it is integral that a job seeker’s profile is public. It’s better to avoid making a potential employer worry with the question of whether or not a prospective employee is hiding something. Public means public—therefore, a public profile must be clean. There is only one thing worse than a private profile: a public profile with unprofessional content, such as statuses or photos. Make sure everything posted is appropriate for employers to see—if not, it’s time to delete. Another giant in the realm of social media, Twitter is a popular choice for companies, young professionals, teens, and everyone in between. Twitter has bridged the gap between consumers and brands, offering the everyday citizen the ability to communicate with a large brand or entity. This is the case when it comes to applying for positions, too—this is an individual’s chance to show a manager what they are made of – in 140 characters or less! One should follow his or her favorite companies or establishments on Twitter. Future criminal justice professionals never know when a potential employer might post on Twitter when there are open positions. When this happens, a future criminal justice professional must act on it. Following a potential employer on Twitter will enable one to become more familiar with the company and the type of work produced by them. Are they hoping to crack down on a case in the next few weeks? Are they involved in the community? This is the type of information one can learn by simply following a Twitter page managed by the company. Applicants already know how important it is to know information about the company they are applying to—so following them on Twitter is a step in the right direction. Those who engage with a company frequently might have already struck a positive chord with the company by the time they are hiring. Through frequent communication, the company will know the prospective applicant’s name before the application is even received! The largest professional network, LinkedIn has earned a reputation for being crucial for employees and employers alike. Everyone who is applying for a new career must have a LinkedIn profile visible to potential employers. Students who are looking to apply must ensure their profile is complete—and that it best represents them as a professional in the field. Think of LinkedIn as a virtual resume. It offers employers a look into one’s education and experience while offering a first impression. Plus, employers might even analyze an individual’s attention to details by gauging how much information is missing from their site! Social media, in general, has enabled young professionals to correspond directly while networking in a new, refreshing way. The beauty of social media is that it offers the ability to network and learn more about one’s future field. Find other professionals in the field—maybe even one or two will work at one’s dream job! A job-seeking professional cannot afford to be shy—contacting someone who works at a good company can make a great first impression. Remember, it is not a good idea to ask this individual for a job, as that is not professional. Plus, this person is likely in no position to offer you a job. However, it does not hurt to simply connect! FNU is dedicated to ensuring students are ready for what is to come. The first step to finding a career in the criminal justice field is to gain an education. FNU offers two programs in the field: as associate’s degree program and a bachelor’s degree program. Learn more about our criminal justice programs, along with the other programs we offer! Get started by applying to FNU today!